Water Sports gives players the opportunity to go Kite Surfing, Wake Boarding, Wind Surfing and Jet Skiing all without having to get wet or leave your living room! Challenge yourself on the Wii Balance Board, race against your friend in multiplayer mode, or work together in cooperative Wake Boarding. 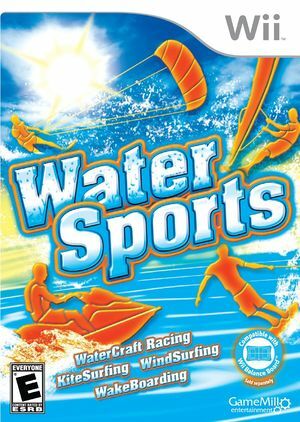 Water Sports is designed to be an easy to learn but difficult to master game for the family that feels more like an arcade game than a simulation. The graph below charts the compatibility with Water Sports since Dolphin's 2.0 release, listing revisions only where a compatibility change occurred. This page was last edited on 13 January 2018, at 15:26.